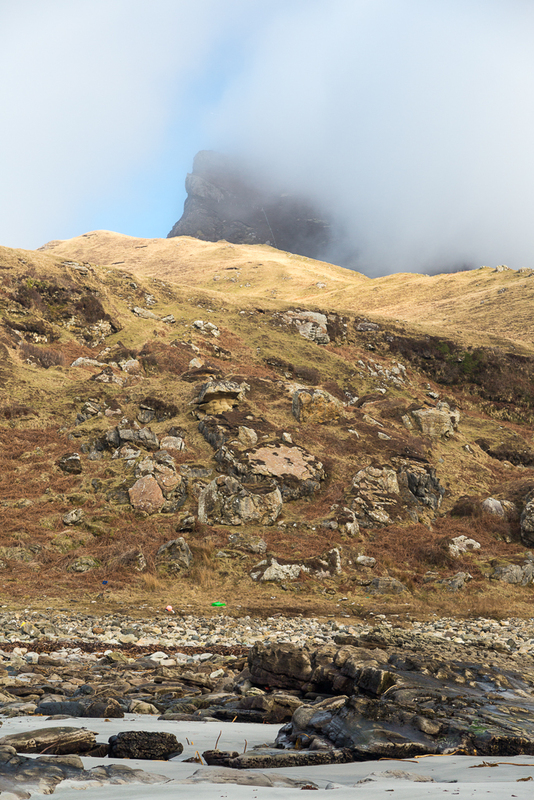 Hatching a cracking plan on Eigg. 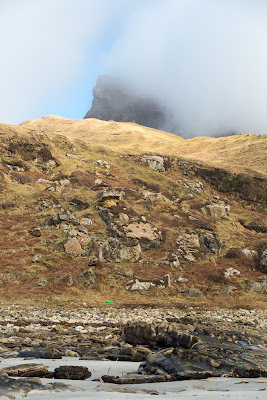 We left Rum with the fog swirling round the foothills of the Cuillin. 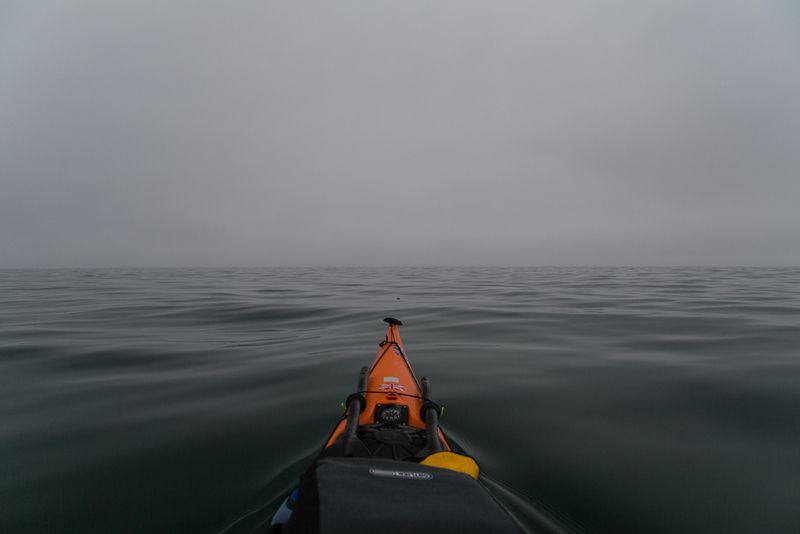 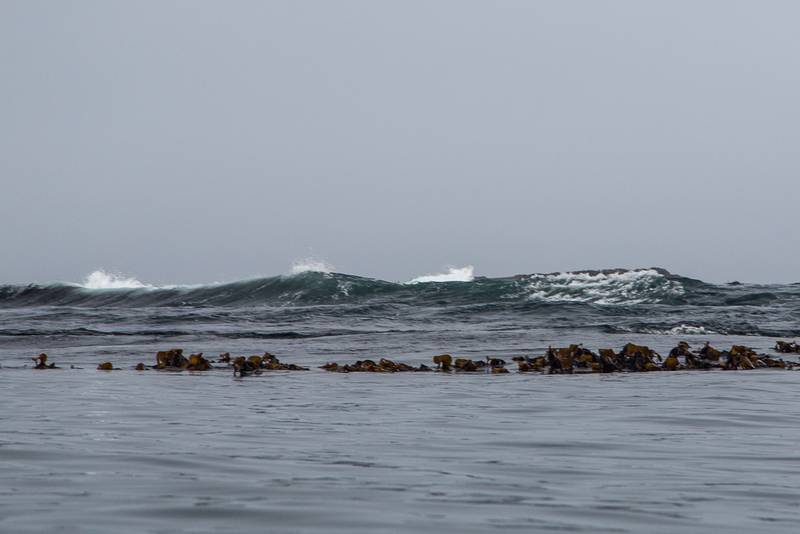 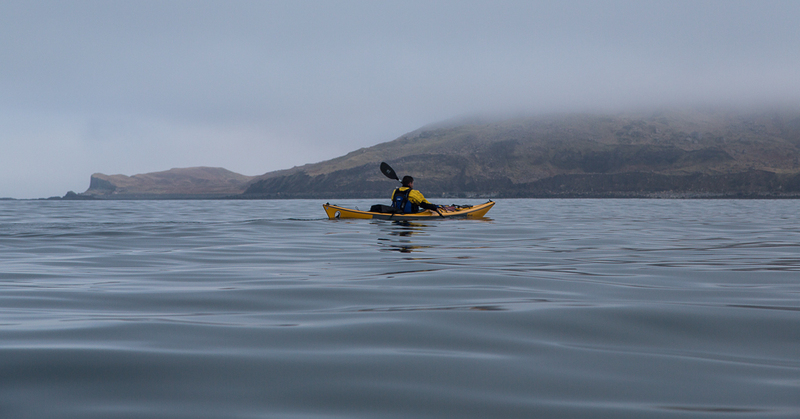 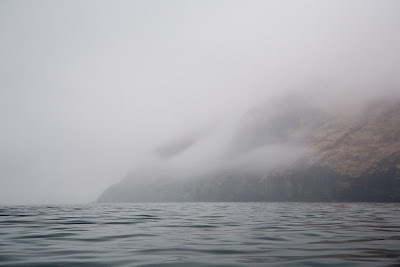 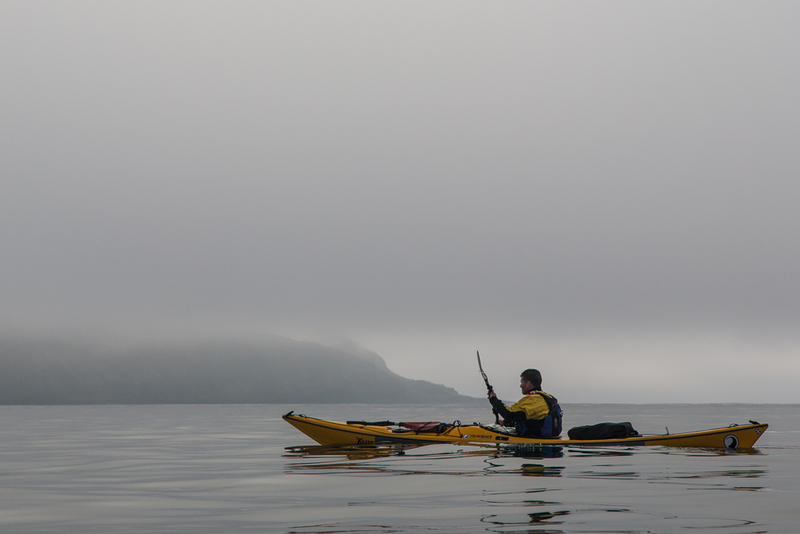 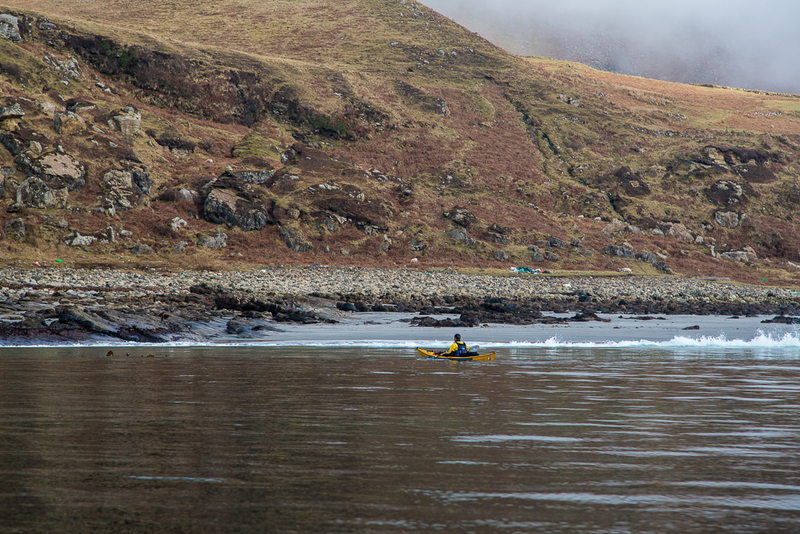 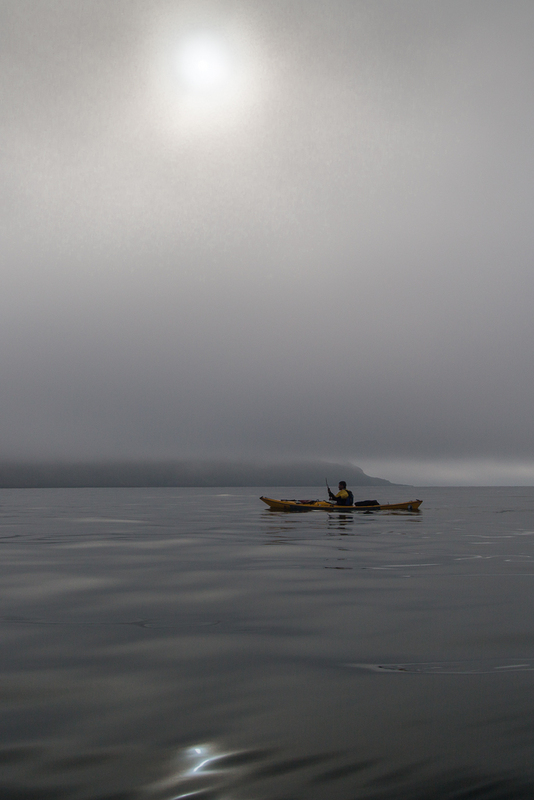 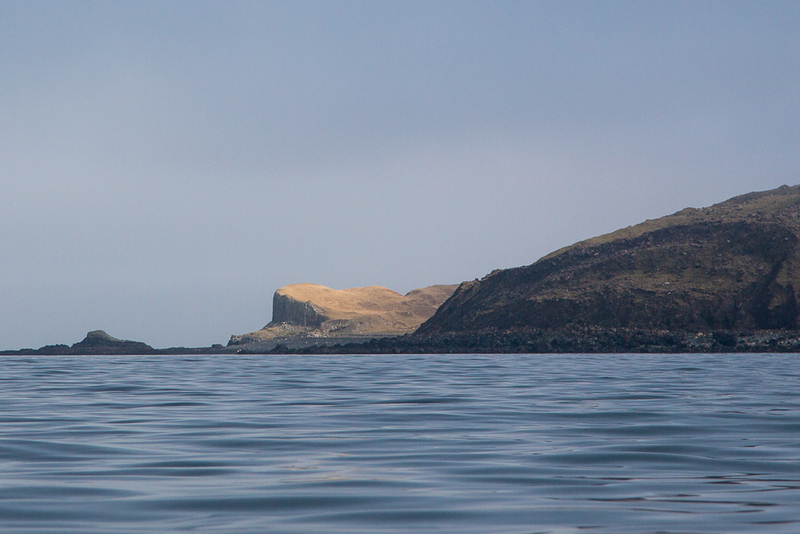 Ahead in the murk the Island of Eigg lay 9km ahead of us and for a long time we paddled using GPS, and compass. 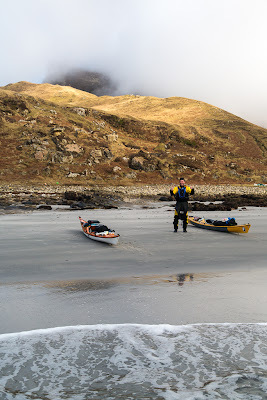 We were bound for Camas Sgiotaig at the north west end of the island. 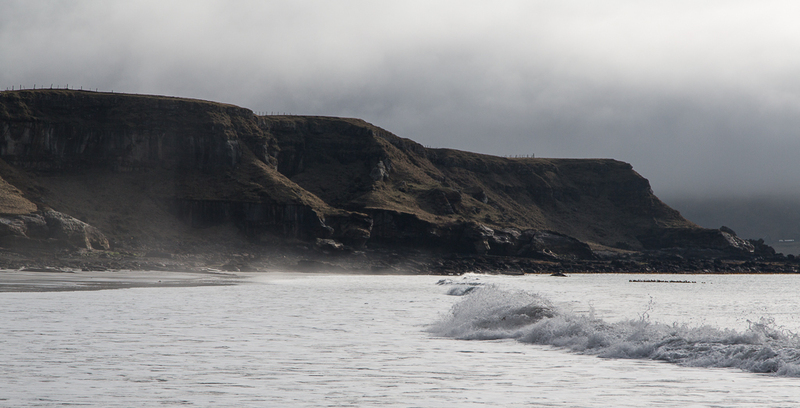 ...to be able to walk up the beach without having been trashed in the surf. 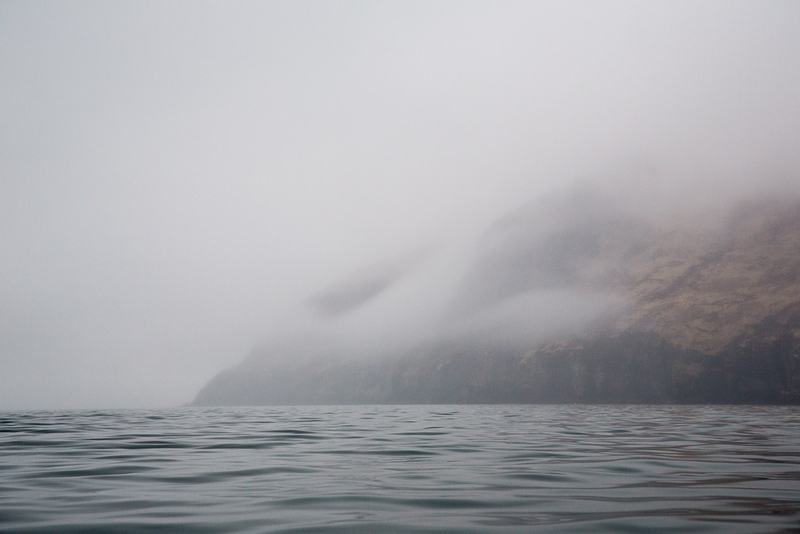 It was while we were having second luncheon on the rock slabs below the towering ramparts of Dunan Thalasgair that we hatched our plan. 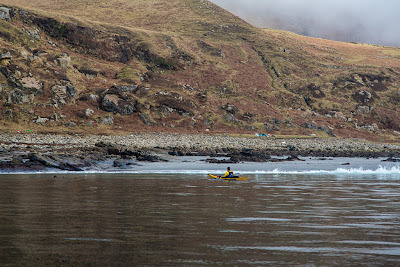 Our original intention had been to paddle down to the next sandy bay... Bay of Laig and leave the kayaks there and walk up to the B&B at Lageorna situated in the township of Cleadale. 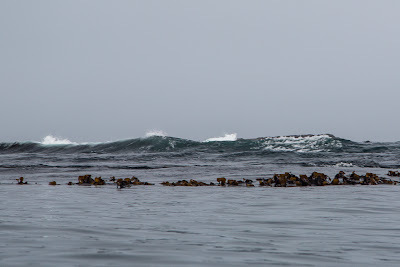 Howeve,r the size of the surf breaking on the reefs made us concerned in case we were trapped by a rise in the swell overnight. 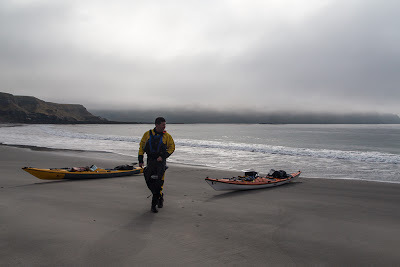 So we decided to take advantage of the light wind and paddle all the way to the south of the island and leave the kayaks at the jetty in Galmisdale then walk the 7km back to Cleadale. 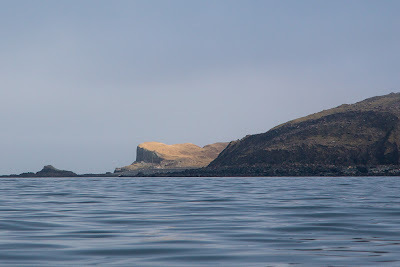 The big advantage of this plan would be a guaranteed easy launch the following day and it would leave us close enough to Muck that a near circumnavigation would be possible before nightfall.